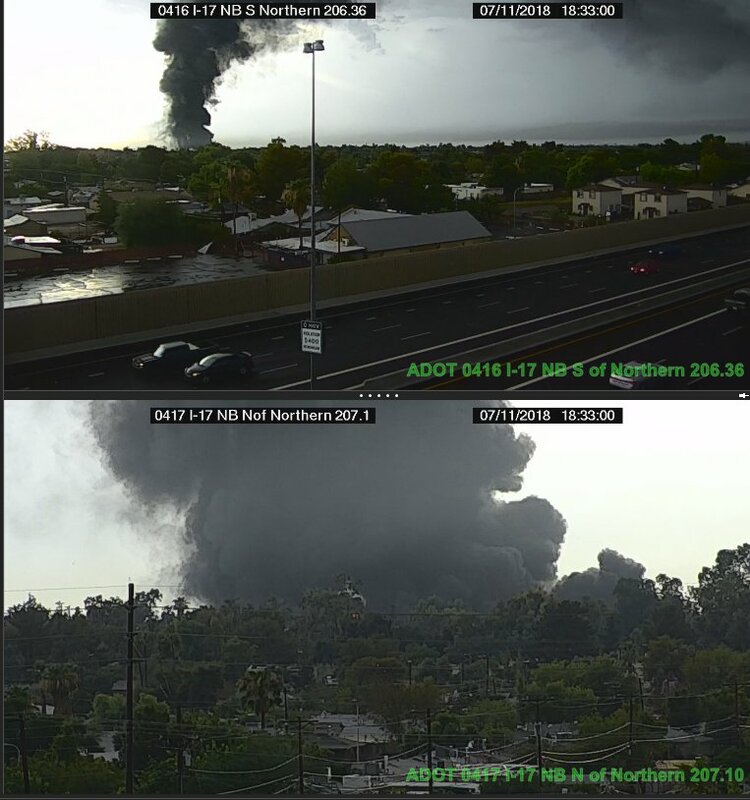 A large commercial fire is burning in the north portion of Phoenix in Maricopa County, that has been elevated to a three alarm fire response. Media reporting that this fire started during a storm but Fire Officials won’t know if lightning hit the building or what the cause is until it has been put out. We know, this could be several minutes to hours. On July 10, 2018, a Social Media user reported that the Safeway in Show Low was blocked off by Police and Fire for over one hour due to a possible gas line emergency. The structure is a Super Safeway located in the 8000 block of North 35th Avenue that first rapid deployment of fire assets was sent around 1802 hours MDT. Resources from multiple Fire Agencies have been deployed. The third alarm was requested by Command at 1902 MDT. There were reports of the roof collapsing into the center of the building. Crews were unable to gain access to the fully engulfed structure due to safety reasons, therefore having to fight the blaze on the exterior and as a defensive fire. Thank you. We were taking info off of the scanner attached unit list. Very confusing but you just made it easier. Thanks for helping us with the corrections. We are going to be correcting that now. Be safe.